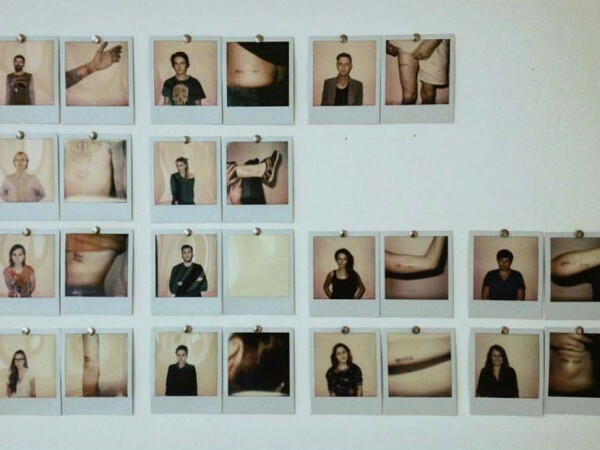 In the process of the multiplication of “Baltensperger + Siepert”, Anastasia and Anastasia took up the challenge to get deeply into the artistic process of Baltensperger + Siepert. Using the specific methodology of Stefan and David they created an artwork over the course of six weeks. 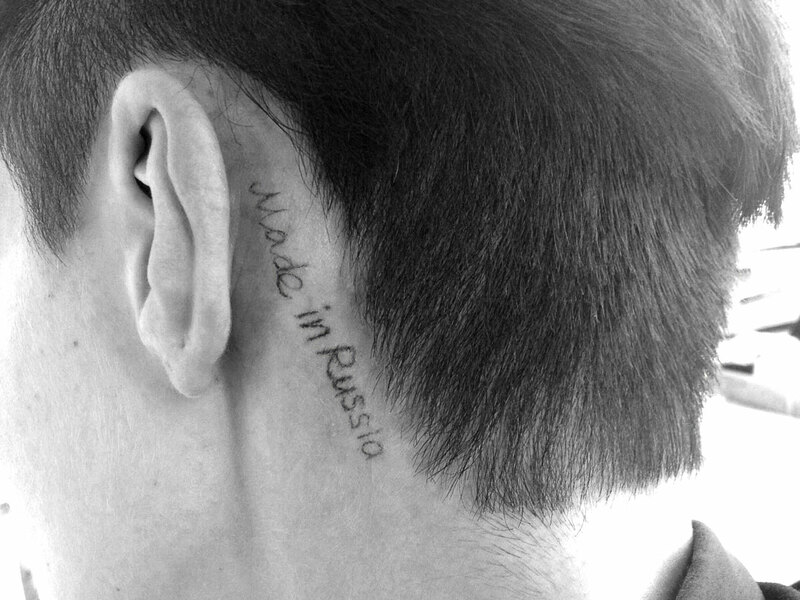 Through their research Anastasia + Anastasia immersed themselves into the topic of identity, its creation and its manifestations on an individual, national, and global level. 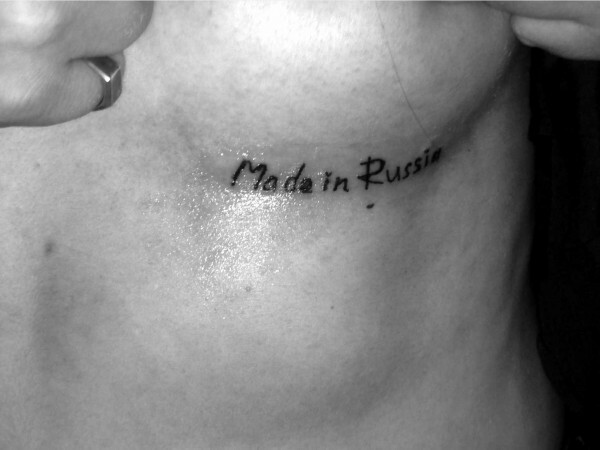 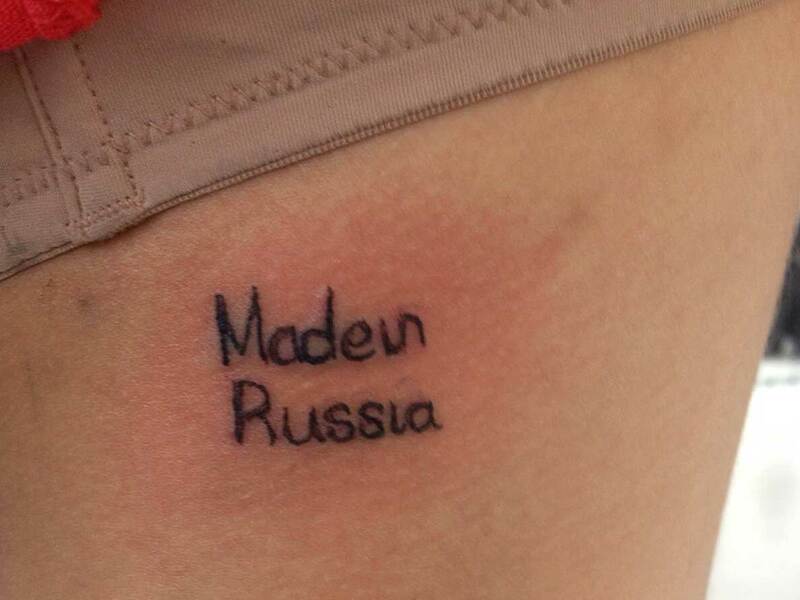 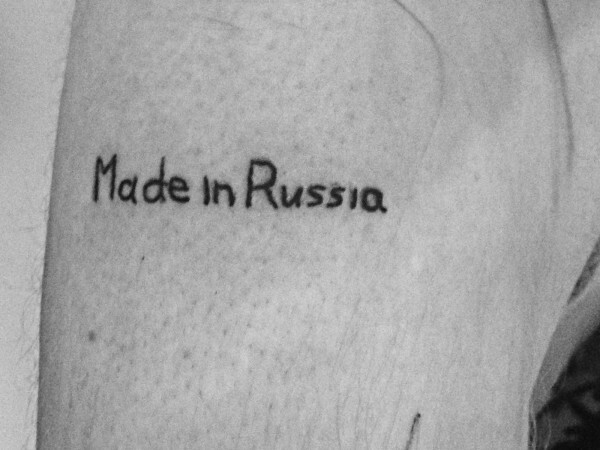 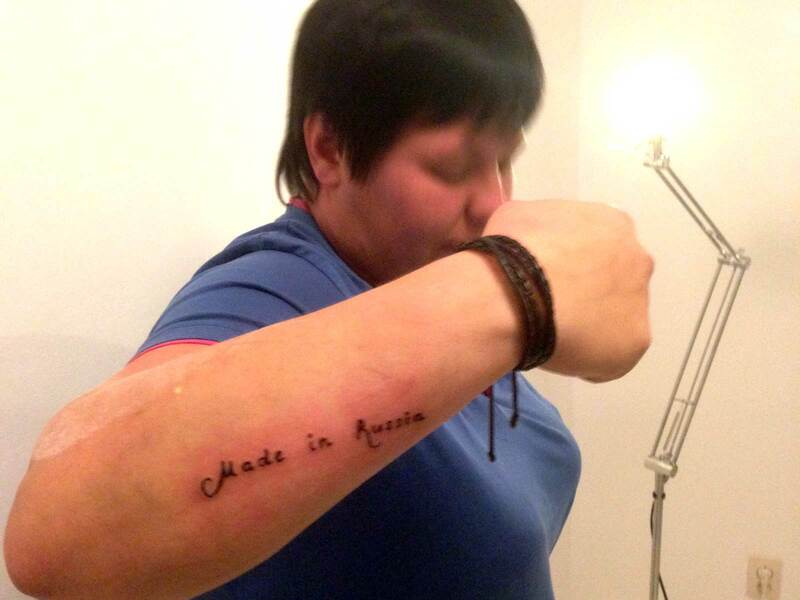 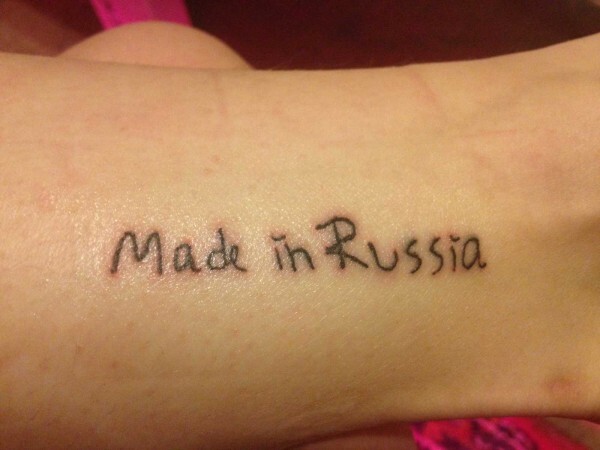 With their final work “Deprussion, Made in Russia” they offered the multinational audience of Ural Biennale, to get a small but significant permanent tattoo, saying “Made in Russia”. Hereby they question the common concept of cultural self-localization by labeling an individual using the terminology of labeling economic products. 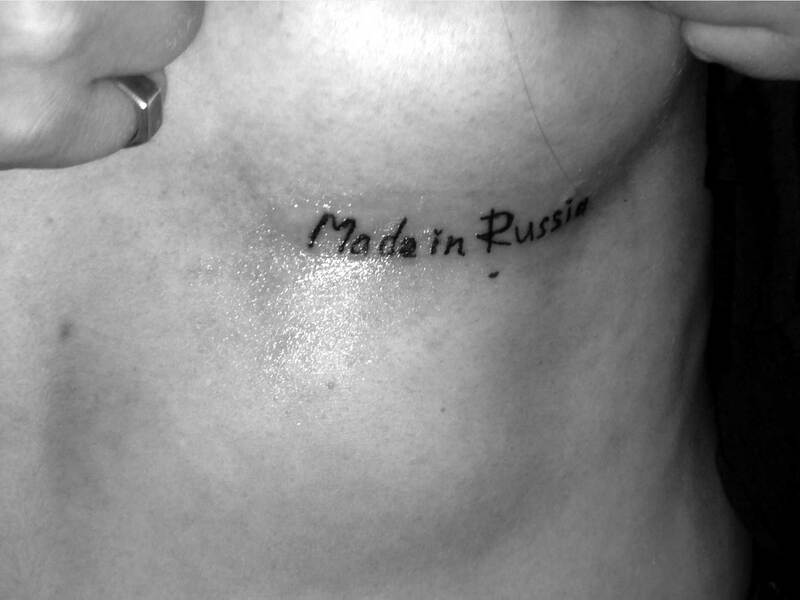 But contrary to economic products the individual is labeled with “Made in Russia” regardless of his/her real country of origin. By transferring a social stigma with all its controversiality‘s into a public discourse, Anastasia and Anastasia offer a significant shift of view. 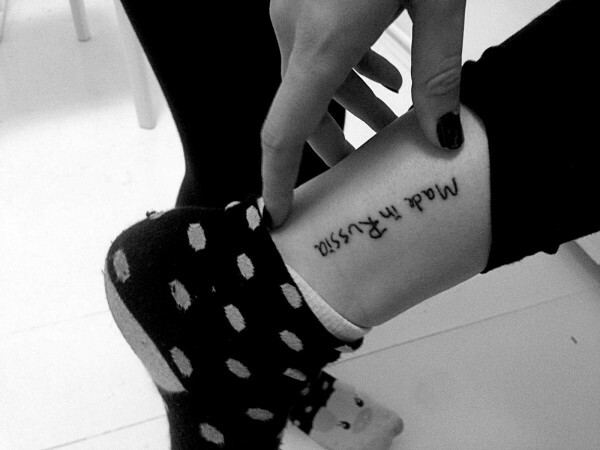 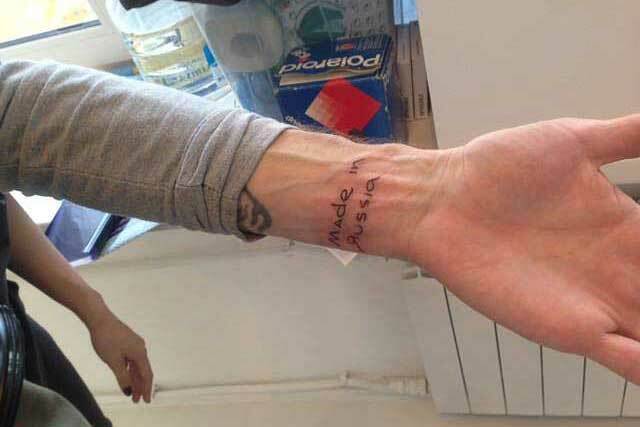 This voluntary act of self stigmatization in English language connects the tattoo with an identity beyond the nation‘s border of its wearer, puts it in the context of both economic and political structures, and dissociates it from purely nationalistic contexts. 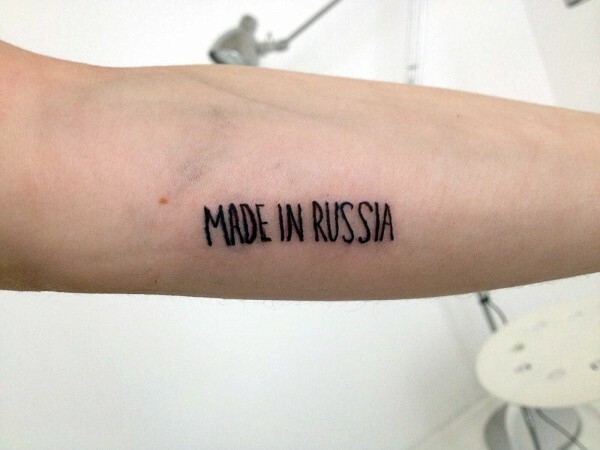 Photos: Tattoo Performance on the 3rd Ural Biennial in Yekaterinburg, 2015.